I'd decided to make my banana pudding and had some strawberries to use up. 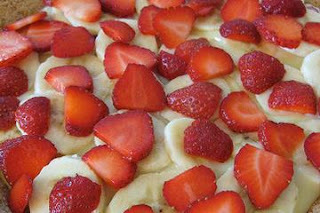 So I added a layer fresh sliced strawberries with the banana layer. Turned out great and everyone in the family loved the added flavor. Make vanilla pudding as directed on the box. Mix in tub of cool whip. Slice up strawberries and bananas. Layer bowl with wafers, pudding mixture, and fruit. I have so many likes and interests, not to mention I'm very indecisive, I could not decide on just one thing to blog about. Awesome Inc. theme. Theme images by TayaCho. Powered by Blogger.